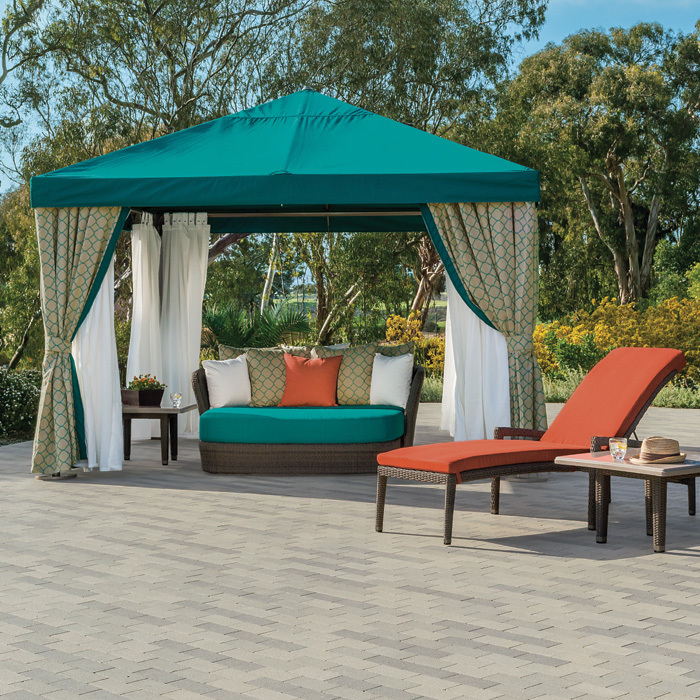 Add a stunning BASTA SOLE® square cabana, to any outdoor environment to incite conversation. BASTA SOLE® Cabanas provide wonderful focal points for any pool, lawn, or garden setting. Customize each cabana with your choice of fabric for the canopy, valance, vents, and curtains. Paired with sheers, curtains enhance style, comfort and intimacy for semi-private party lounging. All BASTA SOLE® Cabanas feature durable aluminum powder-coated frames and are available in 8', 10' or 12' Squares. Available options include umbrella bases, curtain rings, curtain trim, TV mounts and ceiling fan mounts.